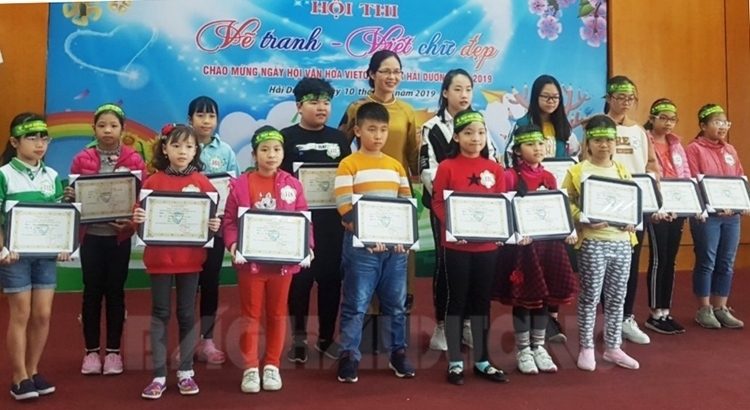 Hai Duong branch of the Joint Stock Commercial Bank for Foreign Trade of Vietnam (Vietcombank) held a customer appreciation meeting and the Cultural Festival 2019 on March 15. Mr. Nguyen Manh Hien, Member of the Party Central Committee, Secretary of the Provincial Party Committee, Chairman of the Provincial People's Council, and Mr. Nguyen Duong Thai, Deputy Secretary of the Provincial Party Committee, Chairman of the Provincial People's Committee, Head of the Provincial Delegation of National Assembly Deputies, attended the meeting. 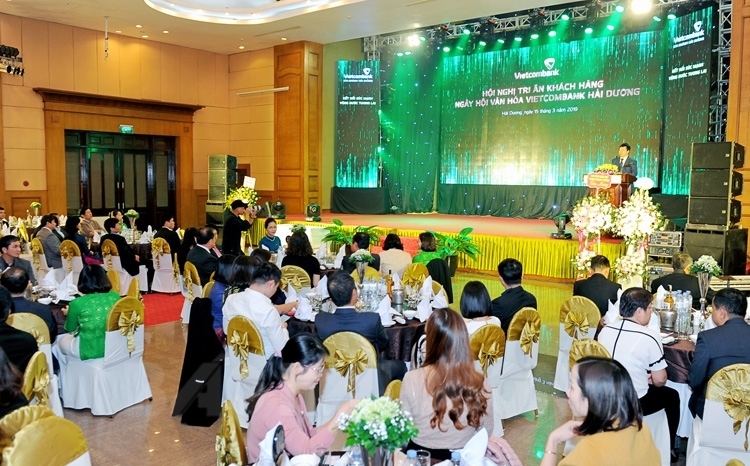 Addressing the event, Chairman of the Provincial People's Committee Nguyen Duong Thai affirmed that Vietcombank's Cultural Festival had left good imprints on customers. The cultural beauty should be maintained and developed. The Chairman of the Provincial People's Committee appreciated the results of Vietcombank Hai Duong's credit activities over the past time. He recommended the bank to continue well implementing the set credit targets in the coming time with priority given to loans for the development of production and business and promotion of the provincial economic development, actively carry out modern banking services, care for customers better and better, improve the efficiency of supervisory administration to better manage funds, and continue to pay attention to implementing social security programs in the province. The Cultural Festival was held by Vietcombank with many activities such as a beautiful handwriting contest, a painting contest themed "I love Vietcombank," presentation of grateful gifts to customers, and support of poor people and disadvantaged families in the province with VND250 million to build houses of gratitude. In 2018, Vietcombank Hai Duong raised more than VND11,400 billion with outstanding loans reaching about VND7,500 billion. The unit made a profit of more than VND300 billion for the first time.